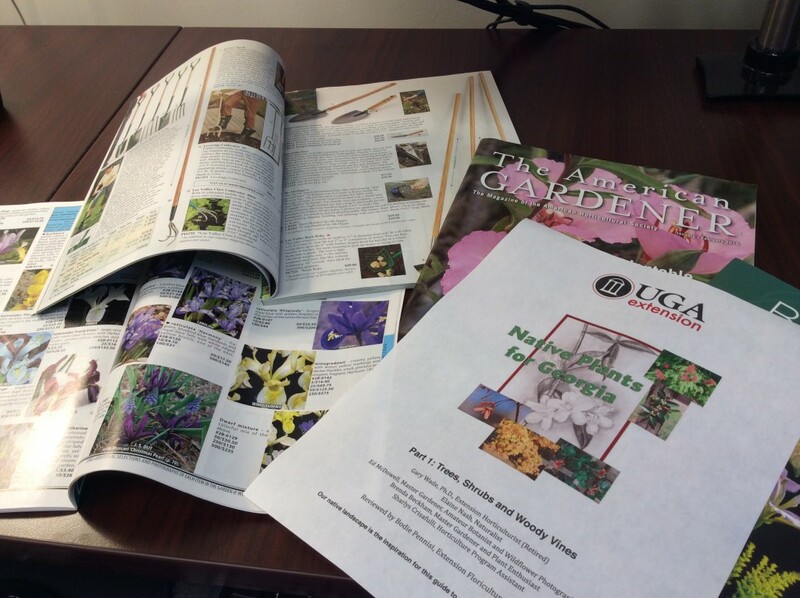 A s a Georgia Master Gardener Extension Volunteer, you have partnered with UGA Cooperative Extension as a community volunteer educator. So, what’s one of your many outlets that can be used to extend research-based horticulture knowledge into the community? Speakers’ Bureau! This project was addressed in the June Facebook Fest on the Georgia Master Gardener Program Facebook Page. Athens-Clarke County and Bartow County joined the State Program Office for this discussion and provided wonderful insight and helpful tips on responding to the public and preparing presentations. But before we dig into all the details, let’s first define this MGEV project! 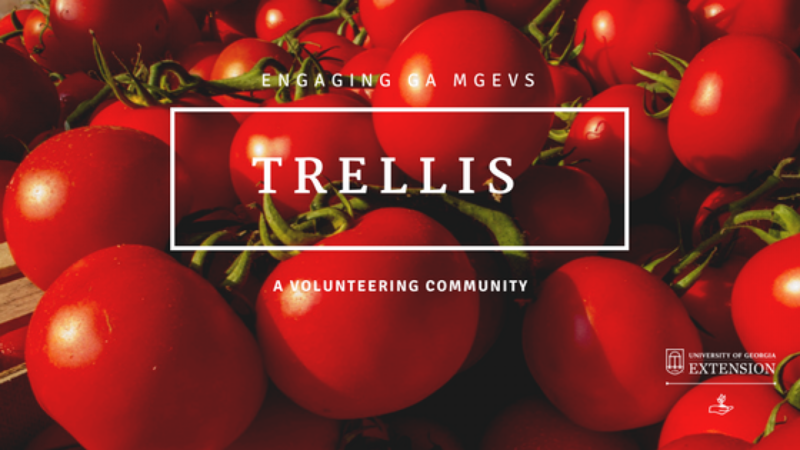 Speakers’ Bureau can be defined as a team of MGEVs who respond to community demand for informational speakers on gardening topics, extending Cooperative Extension’s unbiased, research-based gardening information to the public. They prepare and present programs on a wide variety of horticultural topics to gardening clientele groups such as garden clubs, civic clubs, homeowners and children’s groups. As a result of this team and presentations, community residents will have more resources available for horticultural programs. 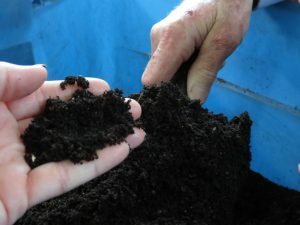 In counties around the state, MGEVs that enjoy teaching or demonstrating various topics become involved in Speakers’ Bureau to share their gardening passions and pertinent gardening information with their communities, educating and inspiring others to engage in gardening activities. MGEVs give free monthly gardening classes that cover topics of interest to home gardeners. Athens-Clarke MGEVs also speak to retirement groups and garden clubs. MGEVs are provided with a PowerPoint produced by Extension and handouts from an Extension or government source to help them prepare for their presentation. all presentation materials must be pre-approved by the Extension agent. All Bartow County MGEVs complete an “Educational Activity Report” after giving a presentation. 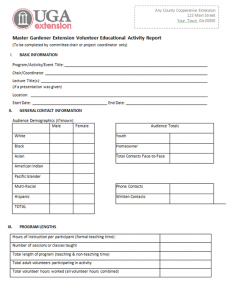 They submit a paper copy of the form to the Extension office along with a copy of any publicity, evaluations, sign-in sheets, or handouts used during the presentation. 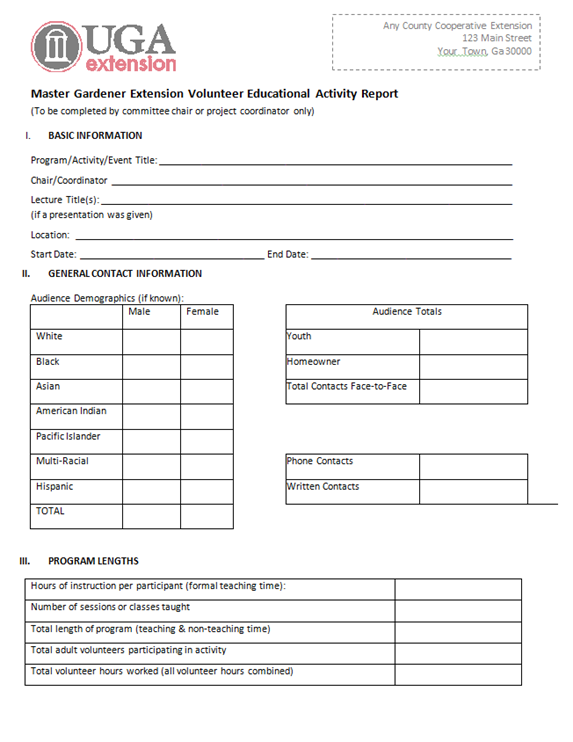 It’s important that Extension captures the location, number of contacts, topic, and evaluations so that this data can be included in MGLOG and Georgia Counts for Extension accountability. Evaluations also give feedback for future programs and suggestions for improvement with Speakers’ Bureau. As MGEVs engage in Speakers’ Bureau, they work closely with Extension, ensuring that presentations are supported by proper research to best educate the interested audience. Bartow County MGEVs have found that the best presentations result from taking a two or three-page factsheet from Extension and reducing the topic down to a simple outline with 3 to 5 talking points. Although publications may seem self-explanatory, it’s valuable to reinforce the highlights of a topic and break down the “technical jargon” that average consumers may not fully understand. In Athens-Clarke County, speaker requests are reviewed and then sent to Athens Area Master Gardeners. Interested MGEVs sign up via email to give the presentation, and the ANR agent provides them with assistance in prepping the presentation. Are you involved in Speakers’ Bureau, or if you are not, are you ready to get involved and give presentations? Talk to your agent! Share your gardening knowledge with the community and share details about your presentation and audience with Extension. Head over to our Facebook page to review the June FB Fest discussion, and add any of your own comments! Mark your calendars for the next Facebook Fest! Posted in Projects, Training, Volunteering. This entry was tagged FB Fest. Bookmark the permalink.